After the dreadful Vikings loss on Sunday night, there has been much discussion on social media as to whether the Packers should tank or not. Its seems to be about 50/50. 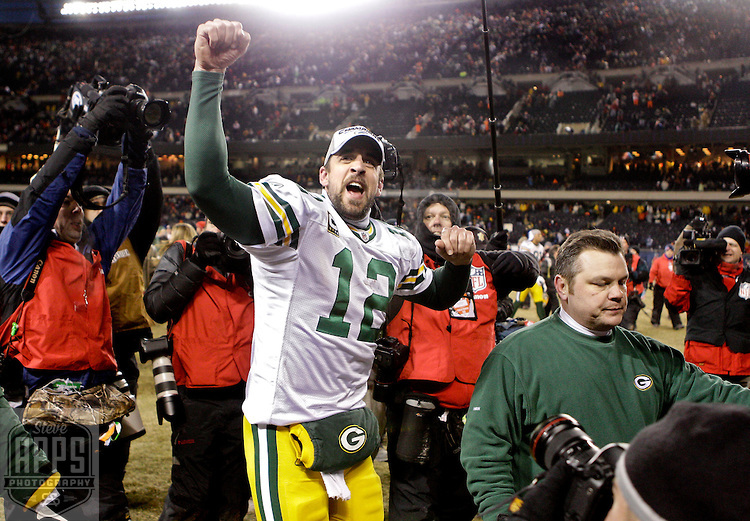 As a #Packers fan, would you rather get a playoff appearance or a top 10 draft pick? That is misguided and silly for several reasons. Is it likely? No. And those people who are pounding there chest saying, “there is a zero percent chance,” will probably be able to pound their chest even more in the coming weeks. But consider this: They have five games remaining, and if the games were held this weekend, they would be favorites in four of them, and the fifth is against a team that they beat, in the Bears. Three of the games they would be fairly significant favorites as well. The Bears game seems to be the key. They are a prohibitive favorite against the Cardinals, with implied odds to win of 90%+, while they will be a modest favorite next week, against Atlanta. The Bears will be the deserved favorite, the week after that, but they have only lost there once in the Rodgers era, and things like key injuries for the Bears could always happen as well. According to most simulations, they have about a 15% chance to win out and if they win out, they have about an 85% chance to make the playoffs. Brandon Carwille, outlines what needs to happen here, but the bottom line is, if they win out they will likely be in the playoffs. By comparison, they had a 7% chance of making the playoffs in 2016. Many fans, have said, “this year feels different.” The only thing different about this year is that people don’t remember what it was like in 2016. Prior to the famous “run the table,” quote by Rodgers they had lost four in a row. They lost the prior to games, by a combined score of 89-49. The house was burning as rapidly as it is now. And also, this team has blown many games, but they aren’t that far of. Their last four losses have been to good teams, all on the road, and they were in good position in the 2nd half in all of those games. And this all while Rodgers continues to play poorly for his standards. If he elevates his level of play to a top five level, like he is capable of, the Packers could easily flip their fortunes. Getting the higher pick is better, all other things equal. But all other things aren’t equal. Winning is a culture, and a learned skill/behavior. The Packers have quality young players, such as Jaire Alexander, Marques Valdes Scantling and Kenny Clark amongst others. Winning helps with their mentality and will help them be leaders which will be necessary going forward. The Packers have a couple of years of precedent. In 2000, they were 5-7 before winning their final four games and barely missing the playoffs. The following year, they went 12-4. In 2006, the won there final two games to go 8-8. The following year they went 13-3, and were favored by eight points in the NFC Championship Game. Why are we even fans? We wait all year to watch and cheer on, our beloved Packers. We all want them to win the Super Bowl every year, but its more than that. Its about sharing in times together, with our blood family, or our Packers family. This is especially meaningful around the holidays, when families gather. Its a bit more meaningful to discuss, the upcoming game, rather than who they should target in the draft with their top 12 pick, 1/2 year away, who of course is no guarantee to make a significant impact. Look no further than the last time they had a top five pick. They selected A.J. Hawk who was nothing more than reliable, but late in the same round, you had the likes of Tamba Hali being drafted, who is a game changer. This is why we are fans. It’s about rooting for them to win, and go as far as they possibly can. The Packer Ranter puts it best. This entry was posted in Uncategorized and tagged Packers Tank. Bookmark the permalink. I really resent this notion that wanting a higher draft position for developing this team makes me a worse fan. So how do you feel today? Tanking is probably the wrong word anyway, they’re going to lose, because they’re a bad football team, that was poorly coached. I will hope they continue to drop games, winning just hurts the draft position at this point. This team has nothing to win for, not even pride really. This roster will probably flip by 20 players next season, it needs a complete rebuild. To do that correctly, and to make the turn of bad football as short as possible, this team needs to be picking in the top 10 of this upcoming draft. Just my opinion. Winning does nothing for this roster which will be dismembered in the off-season and rebuilt as a newer and hopefully more durable and talented competitive roster. They better not screw up the coaching search, if they do, a few years could easily turn into a decade of bad football. I feel fine, and your comments are dead-on correct. I think most of the people on the 46 man game day roster are already here. If the problem is the roster, why fire the coach? Because the coaching staff is running a stale, lazy, predictable, nasty looking offense by today’s NFL standards. Even “Bad Teams” have more progressive offenses than GB. GB couldn’t throw a short pass on 3rd and 3 and pick up a first down. ANY TEAM in the NFL can do that. And again, next years roster is completely different, and here’s why. The following won’t back in GB: Mathews, Cobb, Kendricks, Breeland, Wilkerson, Lewis. The Following probably will not be back in GB next season – Bulaga, Bell, Perry, Morrison. Then GB needs to draft the following – OL, DL, ILB, OLB, RB and WR. We could perhaps even challenge our Place Kicker, he might not be back. Then you have a whole host of deep depth that will get turned, just on the merits of this next draft, UDFA, and UFA. This roster will have over 20 new faces on it next season, MINIMUM! Get ready, this is a big deal. This is about bad coaching, bad GM work, and probably even a poor functioning Mark Murphy, since 2014 at a minimum! Trust me, HUGE changes coming this off-season, especially if we get a great coach, like a Jim Harbaugh, or can lure a Josh McDaniels. If our personnel is so bad, and our offense so stale, then how have we managed to be Top 10 in total offense most of the year? A rational explanation would be that the problem is less with the coach or personnel and more with the execution on third down. And that would have us looking at the guy responsible for executing on third down. The explanation is it’s a bad football team, top to bottom. Why don’t you tell me what specific parameter of offense or defense you tunneled into that makes this a top ten anything team? Try the most important category, Points, or Points per-game, because we’re mediocre at scoring points. That’s scheme, that’s system, that’s play calling, and it’s a QB who’s running for his life in any critical juncture of a game. I’d suggest you consider abandoning “Fandom” for a while, and honestly look at and assess the actual steaming pile that’s left on the frozen tundra, and it will all become perfectly clear. This team blows.. I’m a fan of 55 years of watching Packers football, I know what a franchise in decline looks like. We don’t have the horses, and we didn’t have the coaching staff, or decent scheme or play calling either. Both needed to be corrected. This is just the start, wait until the season ends and we finally flush the toilet. The the air can begin to clear and we can start the badly needed rebuild. You express several narratives in your post, VOR, that I don’t think stand up well under close scrutiny. The “no horses” narrative. Sometimes referred to as a weak roster, but it basically says our players aren’t good enough. Yet, we entered the AZ game 10th in total offense and 8th in passing offense. Aaron Jones briefly was the leading yards/carry rusher. 4/5 of our offensive line is rated as above average by PFF. The line as a whole is rated 4th in pass blocking by Footballoutsiders. Adams is one of the top receivers in the league. Graham is a future HOFer. And Scantling and Eq. Brown have had very promising rookie seasons. Furthermore, our horses competed just fine against Chicago, the Rams, Seattle, and New England, on the road. How does that happen? How does a team with no horses, and a bad coach, stay so competitive and rank so well compared to other NFL teams? So I’ll disagree with you here. We absolutely have horses. Narrative #2: Scheme, or stale playbook. This theory holds that the scheme, and playbook, which has us near the top of the league in offense for a decade is not working. That doesn’t explain how we’re 10th in total offense, 8th in passing offense, and have one of the league’s most effective runners. So I’ll disagree with you on that point, too. Narrative #3: Rodgers doesn’t have time and has to “run for his life”. This narrative is flatly contradicted by Footballoutsiders, which has our line rated #4 in pass blocking. Or you could simply do what I do, and run your stop watch and see for yourself. I’d also encourage you to watch the All-22 shot on NFL.com and you can see that on a surprising number of attempts, Rodgers simply isn’t throwing the ball to guys who are open. I cannot explain why, but if you look at our first series against AZ, on 3rd down, he apparently couldn’t see Graham open over the middle and instead bolted the pocket and ran for a first down. Regarding narrative #3, I’ll make this plain: Rodgers, for whatever reason, is not throwing the ball to guys who are open. On most past plays, his protection is pretty good. The All-22 overhead shots clearly show that people are open. Look….like you, I’ve watched the Packers for a very long time. My first memory of the Packers was November 1962 when the Lions sacked Starr about 400 times or something. My Old Man was mad as hell at the offensive line (I think their were three HOFers on it). After I left the military, I moved to Texas and ended up teaching and coaching football. A half dozen guys who had been breaking down gamefilm for years showed me how it works, and an entire new view of football opened up to me. And because I’m semi-retired now, and I have time on my hands, and I have a DVR, etc., I go over these games and these plays, in some cases frame by frame. And you know what I see? I see the offense stopping itself with penalties, untimely turnovers, (unnecesaary) sacks, dropped passes, and increasingly, off-target throws or simply not seeing guys who are open. In your view, this is scheme, and lack of talent, and bad coaching. IMO, it’s more about having to play rookies too many snaps and a QB who has thrown more off – target balls than I’ve seen from a Packer QB in a quarter-century. I thought we looked as bad against Arizona as we’ve looked since the first season McCarthy arrived. I don’t have all the answers, but it’s not just McCarthy, it’s not a bad roster, it’s not a bad scheme, and Rodgers is certainly as much to blame for our scoring issues as anybody. I remember when the previous QB was here, there were lots of people who just would not admit that he was part of the problem, and like Tundravision recently wrote, we’re seeing history replay itself here. Yes, yes they should tank. There is basically no chance to advance to the playoffs, and if you have any doubts about that, you won’t after the Bears game. Winning is a habit. Unfortunately, so is losing—Lombardi. You do your best in every thing, every day.